Are Toxic Ingredients Hiding In Your Deodorant? 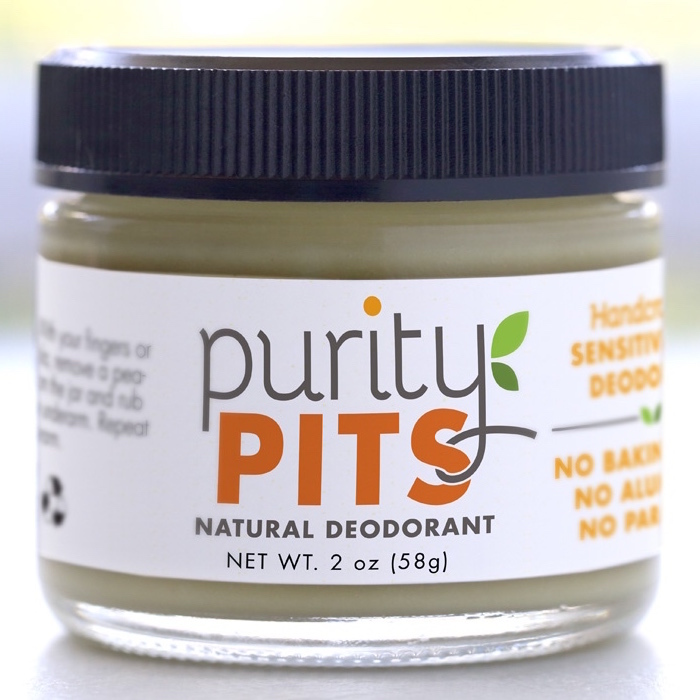 When I was doing the research for my latest book, Natural Solutions for Cleaning & Wellness, I asked hundreds of people what they wanted to remove toxins from and hands down the number one answer was to remove toxins from their deodorant. So I began to research what was hidden in conventional deodorants and to say I was quite surprised was an understatement. 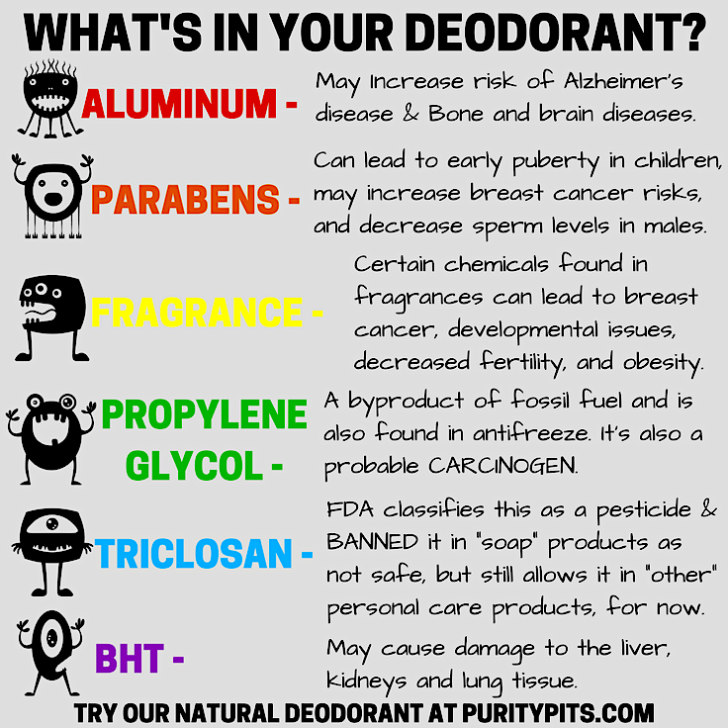 Let’s dive into the top 6 toxic ingredients hiding in your deodorant and why they could be making you and your loved ones sick. Oh and be sure to check at the end of this post for an INCREDIBLE way that you can save on natural deodorant! Aluminum is in most conventional antiperspirant deodorants today. It is there to stop our bodies from sweating and temporarily plugs the sweat ducts. Some studies indicate an increased risk of Alzheimer’s disease plus it may be linked to breast cancer in women. In addition, people who have kidney disease may have a hard time removing aluminum from the body and this may contribute to bone and brain diseases. Parabens may disrupt hormones which can lead to early puberty in children. Studies also show that parabens may increase the chances of developing breast cancer. Parabens may also affect the male reproductive system by decreased sperm levels. Fragrance LEGALLY can be hidden chemicals and sometimes one fragrance can be a concoction of over 100 different chemicals, many of them being harmful to your health. In addition, upwards to 80% of the “fragrances” are not tested for human safety in healthcare products. If that wasn’t bad enough, a common chemical found in fragrance is phthalates, which can lead to breast cancer, developmental issues, decreased fertility, obesity, and asthma. Propylene glycol is a byproduct of fossil fuel and is also found in antifreeze and is a probable carcinogen. It may cause skin irritations and allergic reactions. In addition, it may potentially be toxic to the liver and kidneys. Children under the age of 4 and mothers who are pregnant should avoid propylene glycol as they may not be able to break down this compound. If taken orally, propylene glycol can cause neurological symptoms. The FDA classifies triclosan as a powerful pesticide and the EPA classifies this as a probable carcinogen. It may cause issues with your hormones which can disrupt reproduction and development. The FDA has banned triclosan from being used in soap products and stated that it did not have data to show triclosan was safe or effective. They do however still allow the use of triclosan in “other” skin care products, like deodorants. Pretty scary, right? Butylated hydroxytoluene is often found in cosmetics and deodorants and may be linked to liver and kidney damage. In addition, when applied to the skin it may cause damage to lung tissue. BHT is banned in Europe and is likely a carcinogen. Certain studies show that animals given BHT developed issues with their thyroid and reproductive organs. In addition, the animals also developed stomach cancer as well as liver damage. I know this can all seem overwhelming, I get it…I too was taken back that all of these harmful ingredients were most likely found in conventional deodorants. I tried ALL kinds of “natural” deodorants, but none of them worked or they made my sensitive skin break out with a terrible, itchy rash. So I set out to create a deodorant that is handcrafted for sensitive skin and is safe for women, children, teens, and men of all kinds. And as an added bonus…you can save up to 60% off for a very limited time! (Hover over the image and in the upper left-hand corner is a pin it button, or you can pin it here.